Bering Sea Crabber in pack ice, just outside of St. Paul Island’s harbor. When I started fishing at the age of seventeen, I remember hearing stories from other fishermen about two fabled Alaskan fisheries: Bristol Bay gillnetting and Bering Sea crabbing. 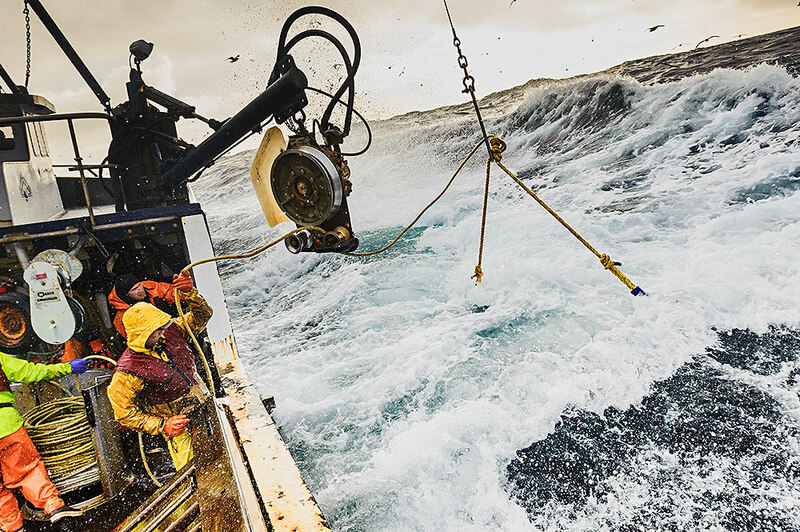 The huge waves, back breaking work, insanely long hours, weeks at-sea, and the crazy characters that the fisheries attract. I heard many first-hand, second-hand, and no doubt completely made up stories of fortunes earned and lost, feats of strength, and freak storms taking all hands aboard. As a result I had visions of tireless days filled with death and dismemberment with each rock and sway of the boat. The naiveté of youth is the fodder of fishermen’s stories and when combined with my imagination, built a perceived wall around those most dangerous of fisheries. As with many things in life the reality behind fishermen’s stories are rooted in truths and embellished with the oratorical traditions of story telling. I ate it up. Here I am fifteen years later, and with what wisdom I have accrued over the years; I now see the artistic license in the stories. The truths that inspired the tales and the embellishments that attributed mythical qualities to the characters, acts, and the places. With the better part of a half-a-decade of fishing experience in Bristol Bay, I can see the reality in the fishing tales that I was told as a young man of that fishery. 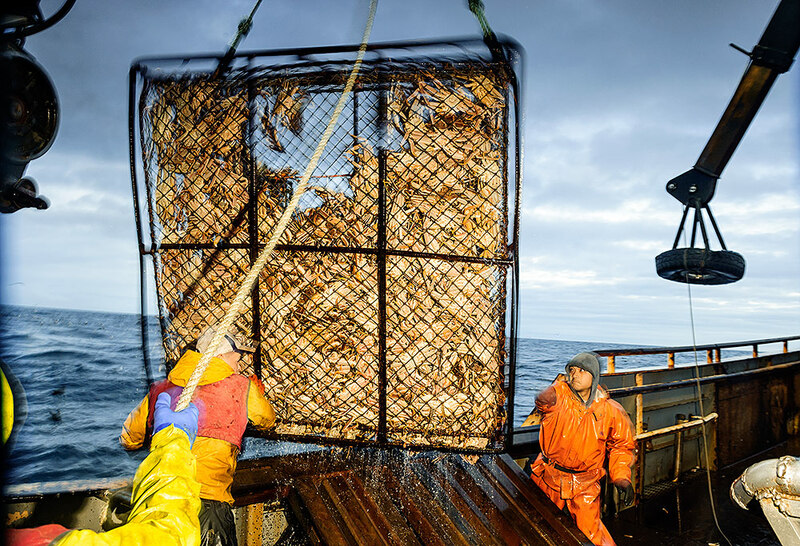 It is through that lens that I wanted to experience and document the reality of Bering Sea crabbers. I had the opportunity to do just that in February of last year. 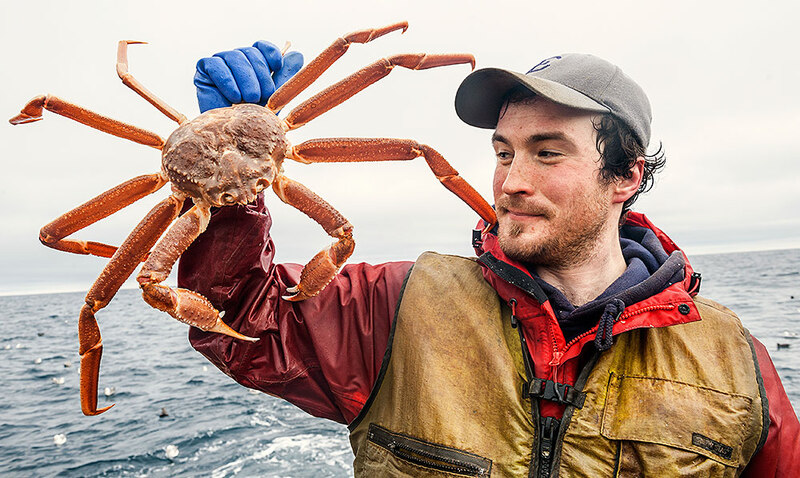 I wanted to see first hand all the hype and hyperbole that the Deadliest Catch has turned the fishery into, and to somehow reconcile that with the tales of my youth and the actual reality of the fishermen. I flew out to Dutch Harbor to meet the F/V Arctic Hunter, the same boat that I was on for scallop fishing in the Gulf of Alaska, to photograph the Opilio fishery. Opilio Crab are more commonly referred to as Snow Crab; they don’t quite have the notoriety or name recognition as King Crab, but they hold their own when it comes to volume. Last year’s Total Allowable Catch for example was a whopping 88.9 million pounds! That’s a whole lot of trips to Red Lobster for endless crab legs. 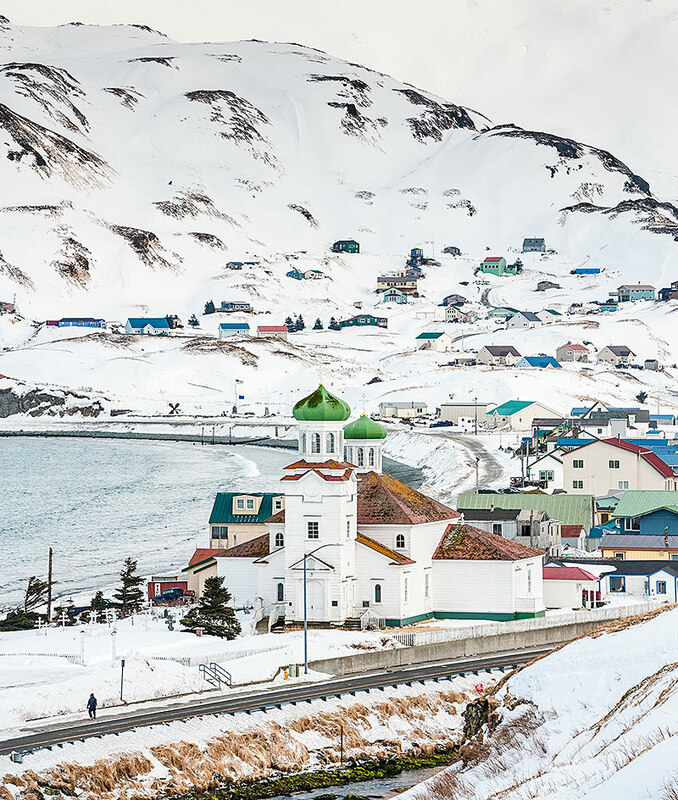 I had visions of pots stuffed to the brim as I poured myself out of the small Penair plane onto the tarmac and I was immediately awash in the sights of Dutch Harbor and Unalaska. The rugged volcanic landscape has been tempered by time and the constant storms that batter the area. The skipper of the Arctic Hunter, Brett, met me at the gate and drove me back to the boat. The plan was for me to go out for one trip near the Pribilof Islands and after about ten-days of fishing get dropped off on St. Paul Island to fly back to Anchorage. As any mariner knows, the best laid out plan can be tossed on its head at any moment by the whims of the ocean. This trip was no exception and had the added twist of being the worst year since the 1970’s for the ice pack in the Bering Sea. After running for a day-and-a-half, we got to where the Arctic Hunter had dropped the first string of pots… they were nowhere to be seen. An endless sheet of ice that stretched all the way to the horizon had moved over the grounds and the gear was miles away; either under the ice, picked up and carried, or completely gone. The next two weeks were filled with days of driving 80-90 miles around and through ice floes; occasionally running into floes that were either impenetrable or filled with ice thick enough to trap or sink the vessel. 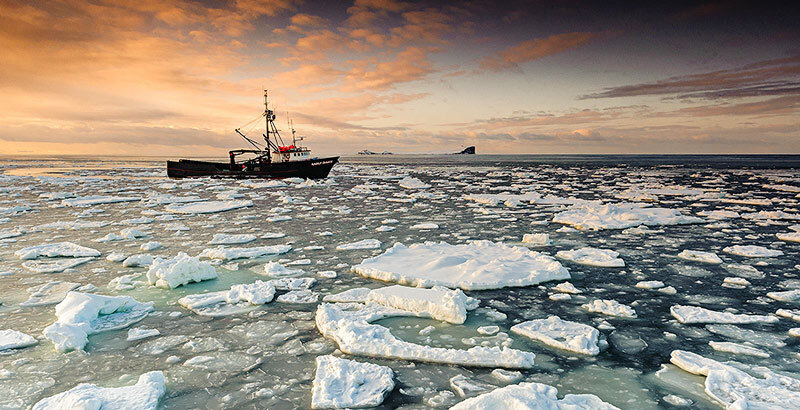 When the boat could find pots the fishing was good, as it was difficult for boats to fish in an area for too long due to the ice moving capriciously through the fishing grounds. Once the Arctic Hunter was full, we partnered up with another boat to slowly push our way through the ice into St. Paul harbor to deliver. Luckily, St. Paul had the foresight to hire a tug to plow a path through the pack ice for boats to get in and out of the harbor. 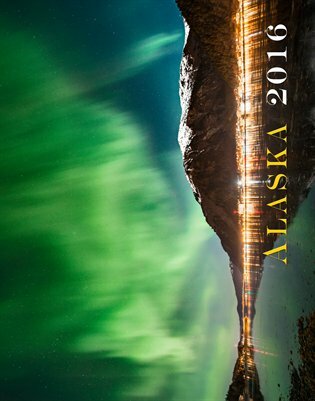 As beautiful of a scene as it was to be surrounded by miles of ice in every direction; it was equally terrifying when a huge chunk would crash into the side of the hull and shake the boat from anchor to stern. After a week-and-a-half of fishing and hours of weaving through floes of ice the catch was finally delivered. My time aboard however, was far from over. I had missed the flight by a few hours and there was not another one for a few days. Knowing the fickle nature of weather in the Bering, I decided it best to go back out on the Arctic Hunter and get more shots of the fishery and increase my chances of flying home from Dutch. As it turned out this was the best move, after another week aboard the Arctic Hunter, I ended up having to hole-up in Dutch for five-days waiting for the weather to improve and an available seat on a flight. All in all, the fishery lived up to my expectations of the harshness of the environment and the physicality of the work. However, it still diverges slightly from the “reality” of the hit television show the Deadliest Catch. 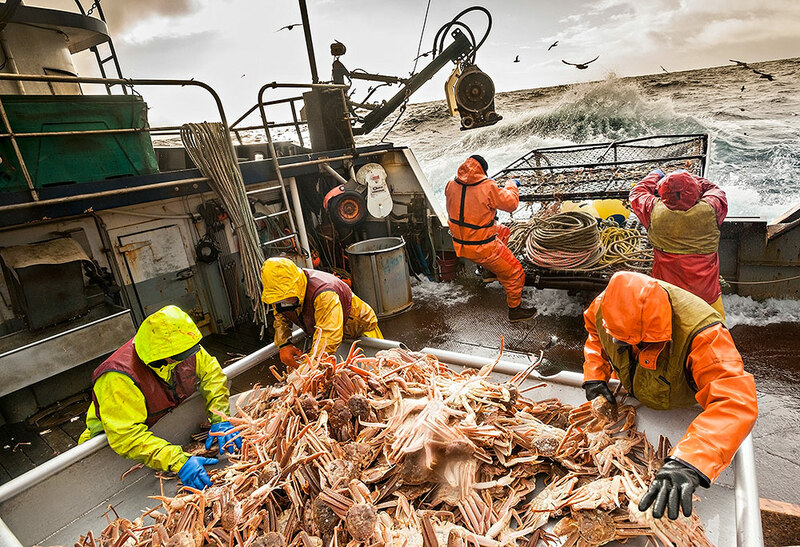 The Bering Sea crab fisheries are not the same fisheries that earned them their moniker, notoriety, and deadly character. Yes, they still have all the same risks due to weather and the nature of the work. The biggest change, for the betterment and safety of the crew, was the rationalization of the fishery. It started out as a derby style fishery; where it was open to anyone who could afford the license and a boat large enough to run the gear. Whoever had the most moxie and stamina was able to catch as much as they could until the fleet met the fishing quota. 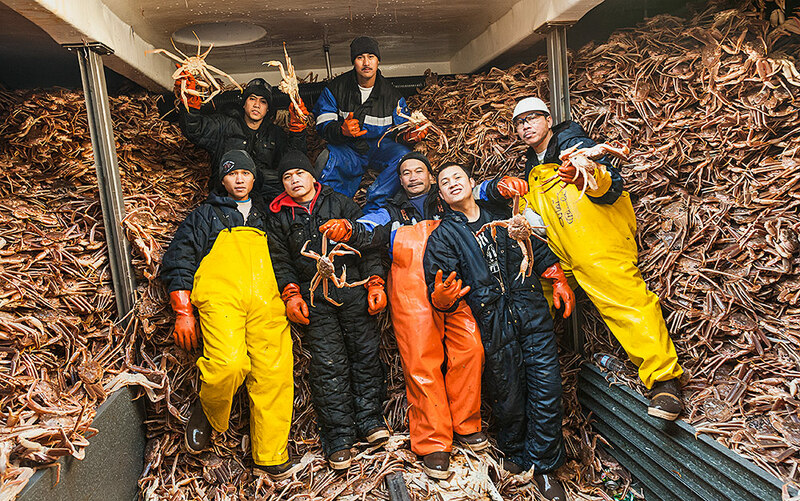 This management regime was likely the root cause of many of the deaths in the Bering crab fleet due to overly tired crews fishing in insane weather pushing their equipment and gear to the limit. It did however spread the wealth of the resource over more boats, skippers, and crews. The fishery is now set to individual quotas that can be leased, which has caused a huge reduction in the size of the fleet. 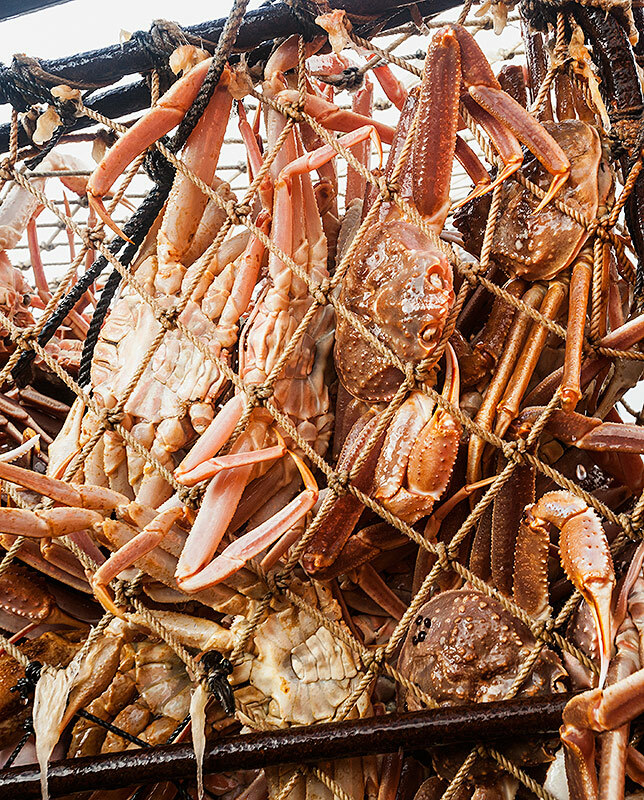 Rather than rushing and fishing as hard and as long as possible to catch as many crab as possible before the quota is caught, crews can be more strategic about how they fish. They still push the limit to finish up the season as quickly as possible, but if a huge storm moves in or gear breaks, time can be taken to avoid calamity. Reality television has a way of editorializing the fishery through a lens that elevates the drama of crew interactions mixed with the dangers of the profession. It certainly makes for riveting television, but how “real” is it? 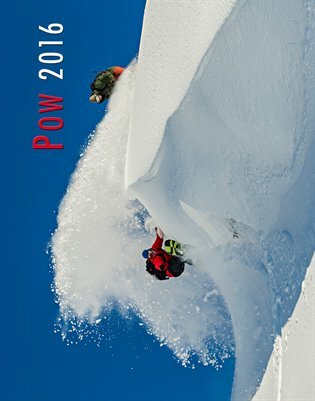 A lot obviously is left out, who wants to watch hours of pots coming aboard in mellow weather, lines that aren’t snapping, gear that isn’t breaking – losing time and money, people not falling overboard, and boats that aren’t sinking. The reality is that the show is based more on the perception of the fishery’s past comingled with its more practical and present evolution. I do not mean in anyway to trivialize the dangerous aspects of the fishery, it is far and above one of the highest consequence fisheries out there. I have the utmost respect for those who currently fish it and even more for the grizzled fishermen who were there when it started just decades ago. As a fisherman with a few stories of my own, I can certainly appreciate the delight of telling a greenhorn and friends my experiences. And just like reality TV I do my own editorializing, keeping out the mundane parts, and sticking to only the most harrowing and dangerous of tales. I do however, when prompted, give the whole story of what its like to participate in the fisheries that I have direct experience with and council listeners to always take a fisherman’s stories with a hint of skepticism; even my own. 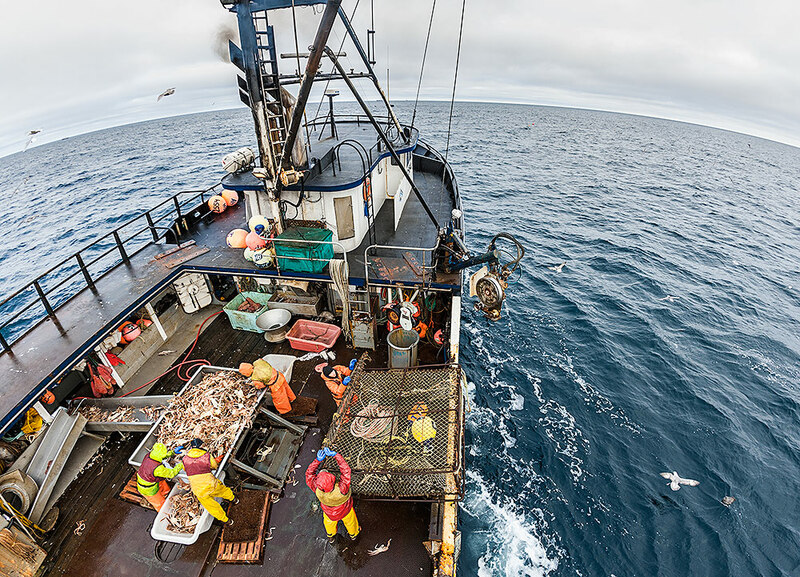 Aerial view of the deck and crew of the F/V Arctic Hunter. Running gear as a wave crashes onto deck. Landing a pot in rough seas. The kind of pot every crabber loves to see come aboard. A pot full of Opies ready to be sorted and stuffed in the hold. Getting a pot ready to set and sorting Opies. Getting a pot ready to stack. 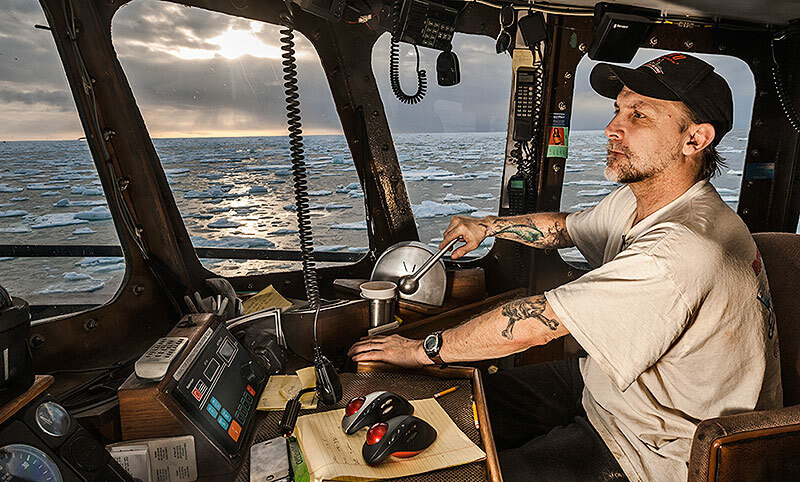 Brett navigating the F/V Arctic Hunter through the ice. Offload crew in St. Paul. 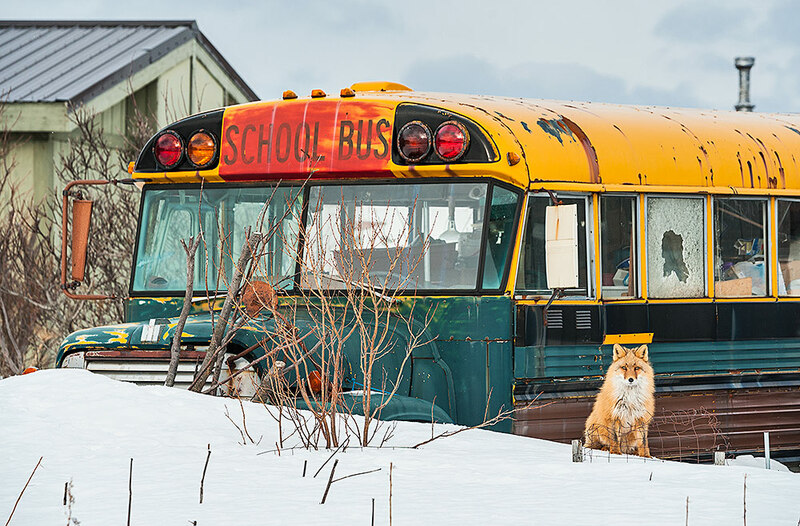 Red fox in downtown Unalaska. Great job, Chris! I’ve seen your photos around town in Juneau. One of my favs is the shot of the plane taking off in the full moon! Truly Choice! Fish on, Bro! Thanks I appreciate the kind words, but I can’t take credit for the plane and the full moon shot. Its not one of mine. 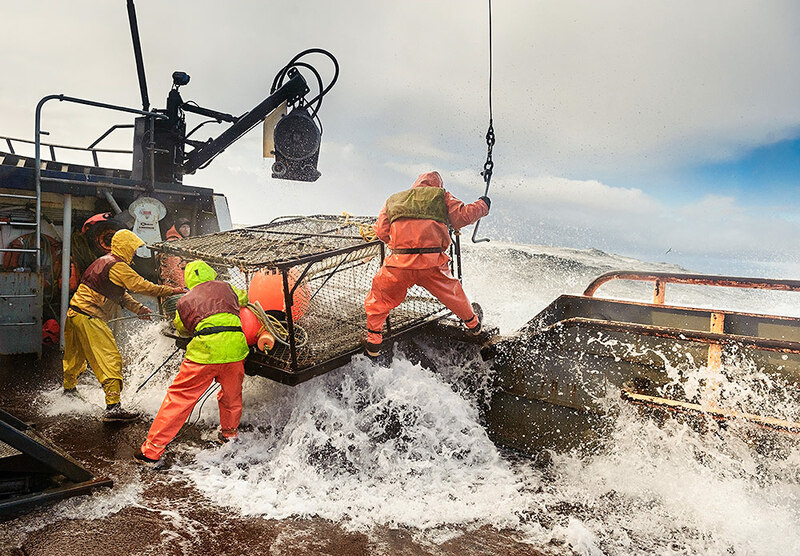 As a former Bering Sea crab fisherman, during the days of derby style fishing, it’s nice to see the difference the regulation has made in the fishery. Great writing and some choice photos! Thanks for sharing another perspective of the fishery that is both informative and entertaining. is all the Drama among Crewman,… fights on deck, and yelling at the skipper, etc. That happened so seldom as to not be worth mentioning, by my experience anyway. a guy disagreeing with the skipper/owner,…(? )…on deck maybe, to his face,…Never !!! Beautiful work, Chris! Stay safe. Lovely photos, Chris, and a great article. I’m with you on the editorializing that we all do in our storytelling, and am especially struggling with it on the page as I write the story of a season trolling. So many days blur as one, and when you’ve been through it all before, so much of our work is relentlessly boring – yet still somehow magical and completely consuming. Capturing both of those oppositional realities isn’t easy for any of us, so I guess it’s no outrage that balance wouldn’t be a priority for a network that makes money by the number of people tuning in, counting on being entertained. Any chance you’ll be at Fisher Poets this year? It’d be great to meet you one of these days. P.S. It would be great to meet. I bet if we both keep at what we’re doing, our paths are bound to cross sooner rather than later.